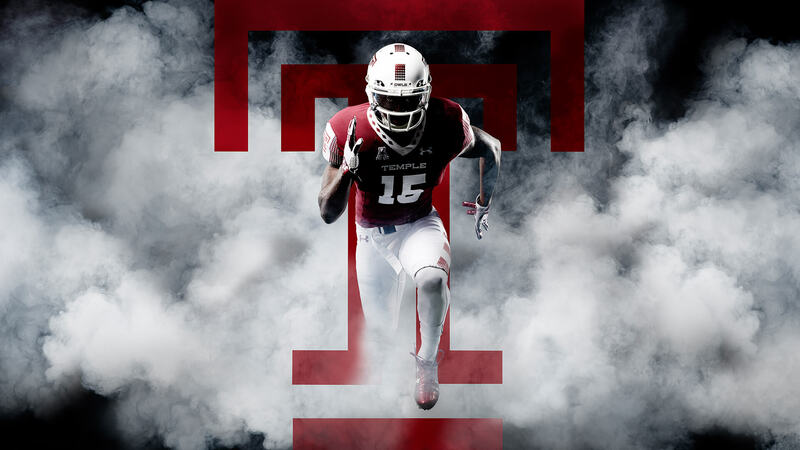 In 2017, Temple Football was coming off two 10-win seasons and witnessing many players move on to the professional ranks. 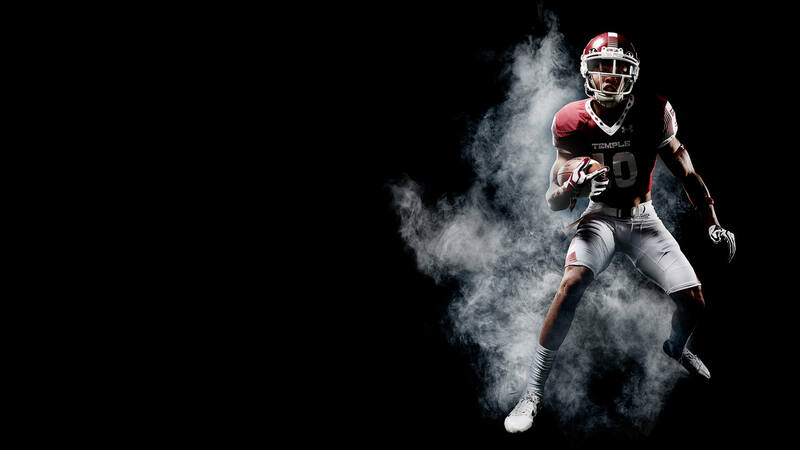 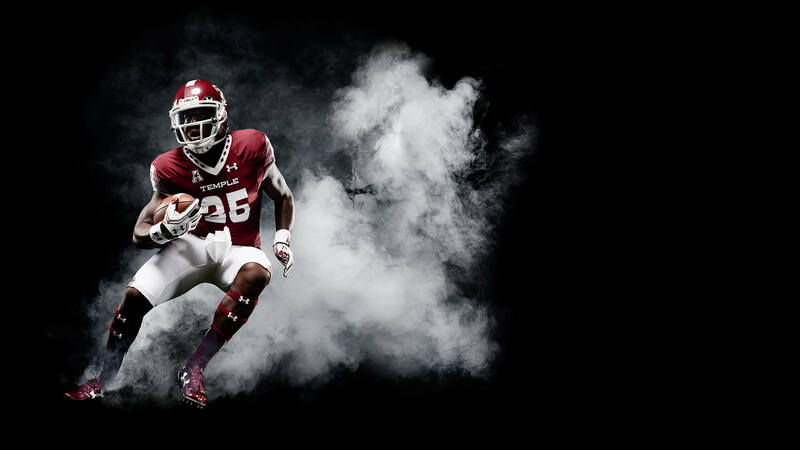 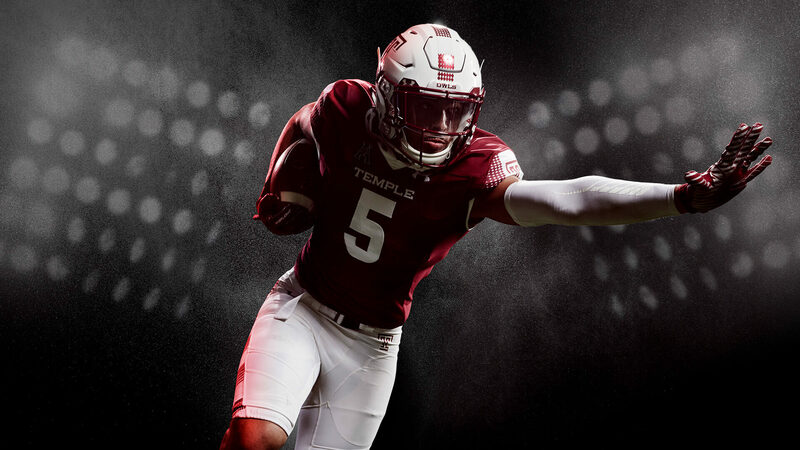 Standard Black wanted to highlight Temple Football’s new identity as up-and-coming, one-to-watch winners via a campaign that utilizes our skill at showcasing exactly what makes a great brand stand out from the pack. 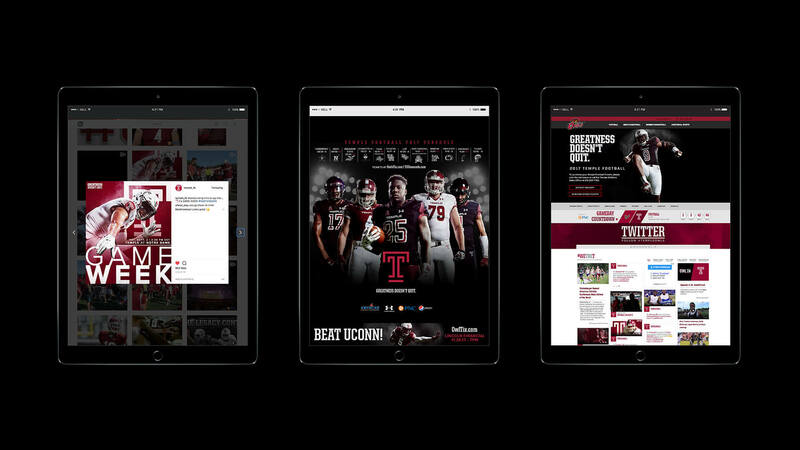 Standard Black was responsible for creating assets and a style guide that rolled out across all digital, social, print and OOH assets for the 2017 season. 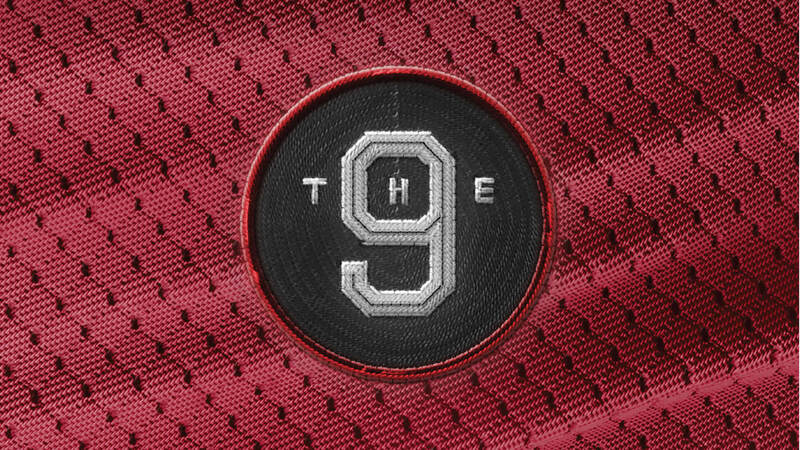 Additionally, since wearing a single-digit football jersey is considered to be one of the highest honors an Owl can earn, we developed “The 9” program, a signature patch worn on players' game uniforms that highlighted Temple’s best and brightest. 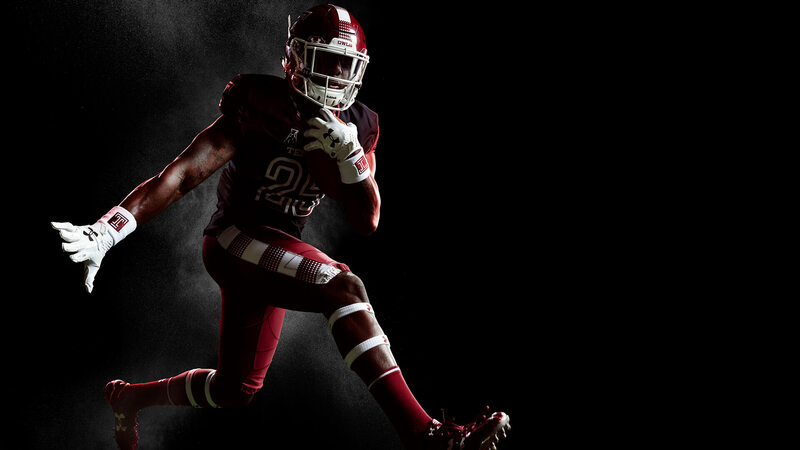 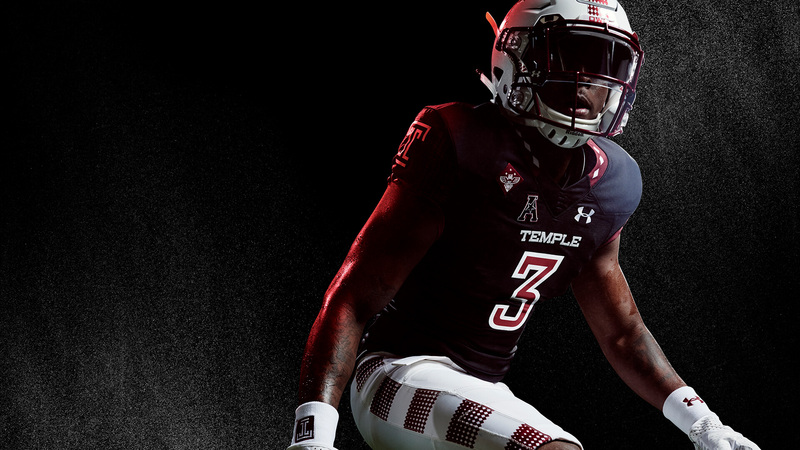 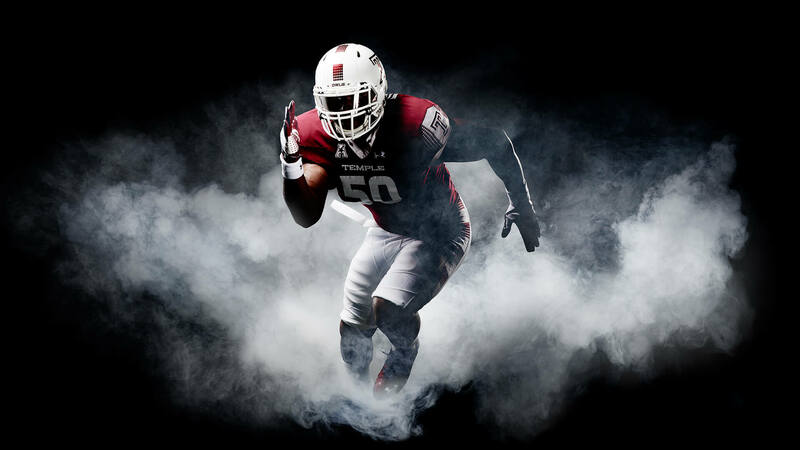 Having just come off the back of their most successful season to date, Standard Black capitalized on Temple Football’s newly elevated status by creating ownable positioning that paired our agency’s iconic visual messaging with the team’s triumphant evolution. 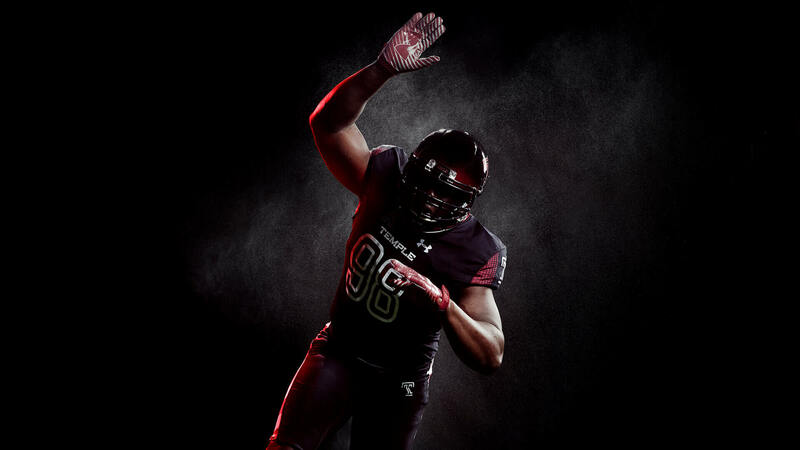 Standard Black developed the program’s logo and identity guidelines, photo and video guidelines, tone of voice and copywriting style. 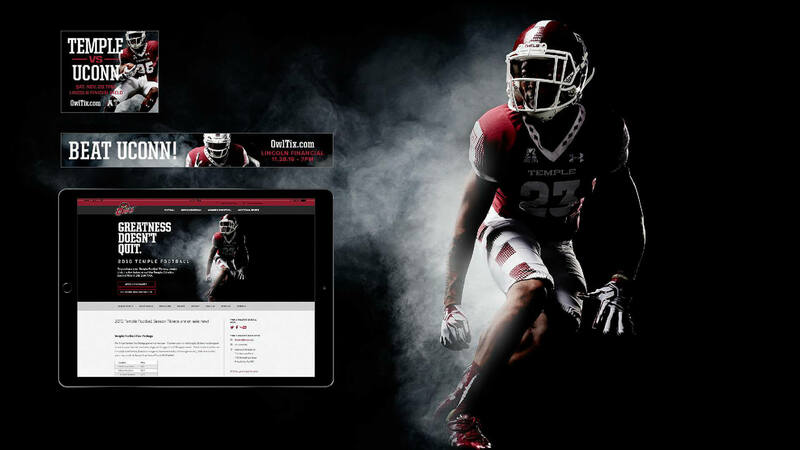 The assets were rolled out across print, digital and social channels including OOH executions in and around Philadelphia and surrounding suburbs. 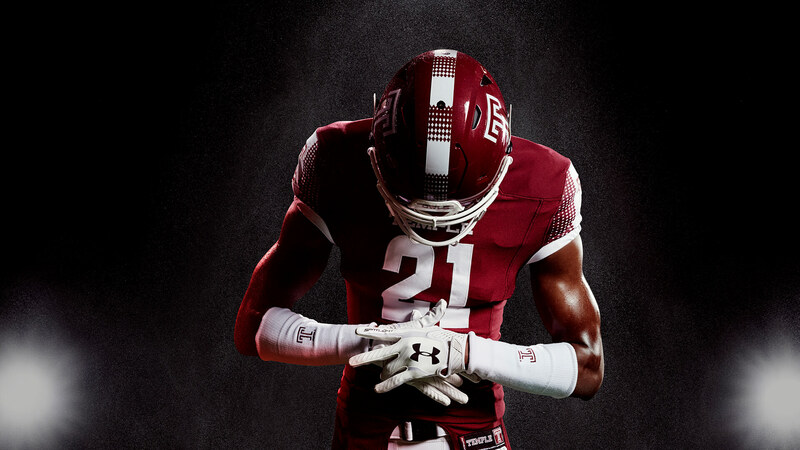 TV spots were aired across multiple channels in Pennsylvania, New Jersey and Maryland to promote ticket sales and build awareness for future football recruits. 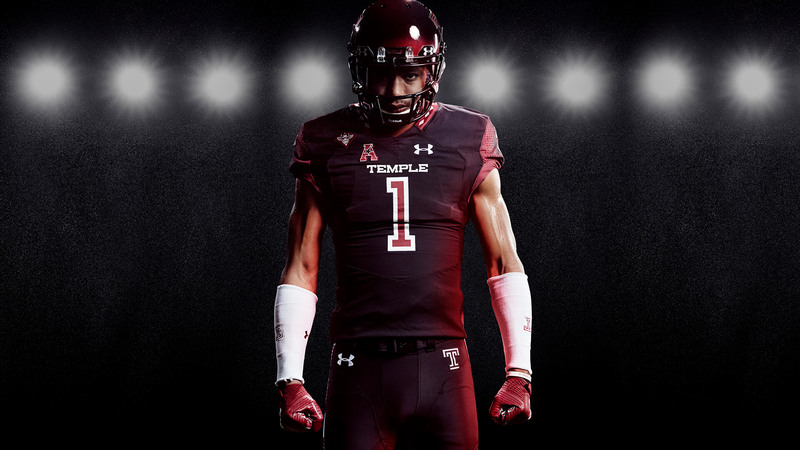 “I say to you there are ‘Acres of Diamondsʼ in Philadelphia right where you now live.” Temple University founder Russell Conwellʼs famous speech remains significant, and inspired Standard Black to design a signature Acres of Diamonds helmet featuring a diamond motif, to pay homage to Conwell’s words. 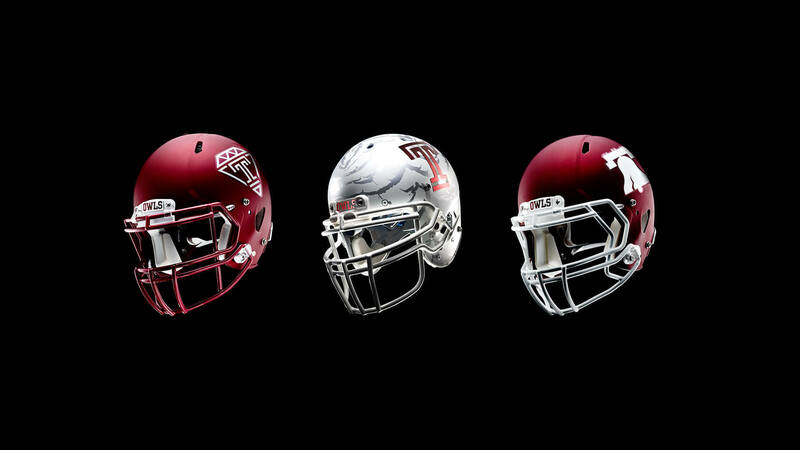 Temple has yet to be defeated while wearing these helmets on game day. 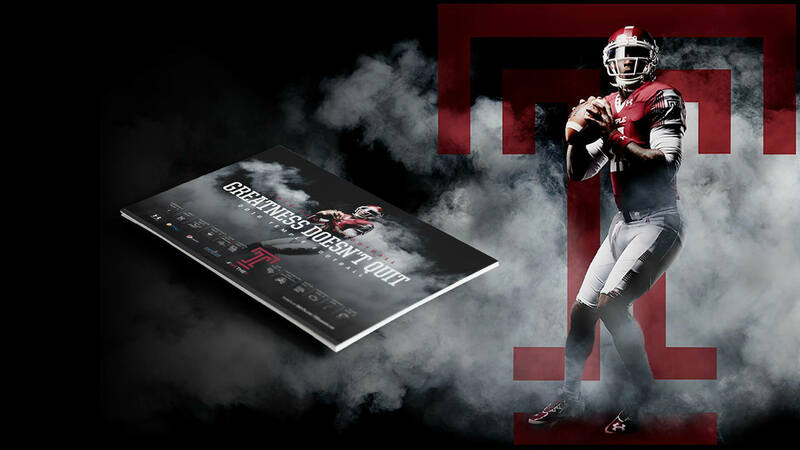 The Greatness Doesn’t Quit platform saw a 15% increase in ticket sales for the 2016 football season. 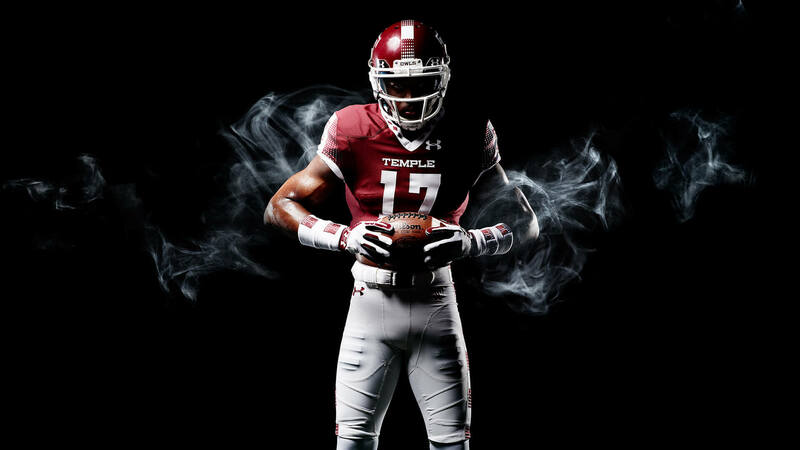 The success of the campaign can further be measured by the level of talented athletes Temple has recruited for the 2017 season. 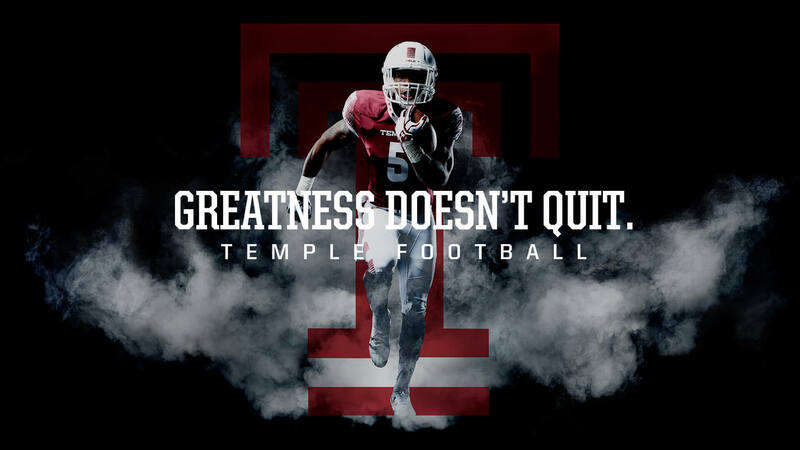 Additionally, the Greatness Doesn’t Quit platform was adopted as an overarching positioning for all sports within the Athletics department at Temple, and rolled out across their subsequent digital, social, print and OOH channels.